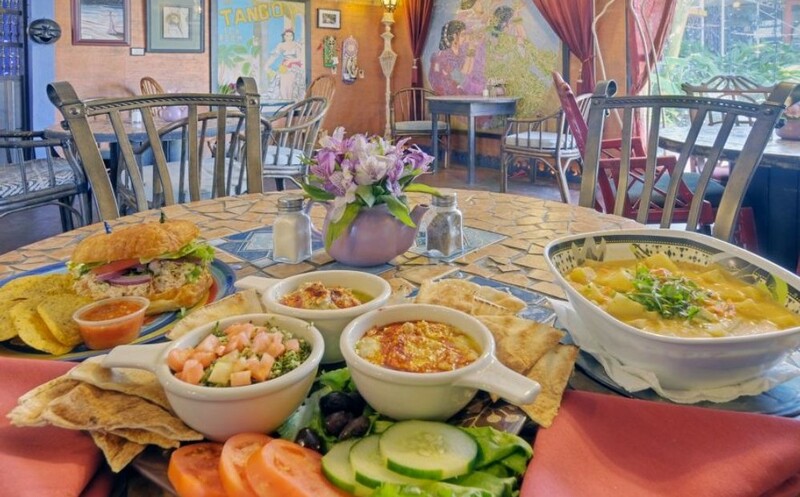 This restaurant offers vegan, vegetarian, and other options. Wonderful decor, splendid homemade food, and great staff/service. The homemade chocolate-avocado pie is a favorite dessert and the black chili is a favorite entree.